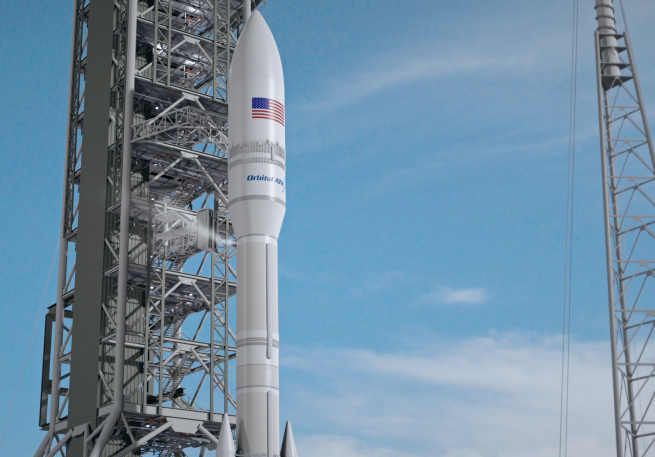 The U.S. Air Force is considering Orbital ATK’s Next Generation Launcher under its Evolved Expendable Launch Vehicle program. What does this new launch vehicle look like? How tall will it be? What will it capable of? To find the answers to these questions, SpaceFlight Insider spoke with one of the officials responsible for the new booster’s development. SpaceFlight Insider spoke to Orbital ATK’s Mark Pieczynski, the Dulles, Virginia-based company’s vice-president of Business Development for Orbital ATK’s Flight Systems Group. SFI: Thanks for taking the time to talk to us about NGL’s inclusion in the USAF’s Evolved Expendable Vehicle program. Can you provide our readers with a bit of background about you company’s latest offering. SFI: Are there any other specifics about the EELV program that you can provide? SFI: Tell us what you can about the NGL. The announcement for which engine will power NGL’s thrid stage, should be made soon. It is hoped that, when combined with the NGL’s first and second stage propulsion systems, this third stage engine will allow NGL to reach all nine of the reference orbits that the Air Force has identified under the EELV. SFI: What is Orbital ATK’s methodology when it comes to developing and producing new launch vehicles like NGL? Pieczynski: “We start out with things that exist and have been flight-proven and integrate those things into the new launch system. This starts us off with a high TRL (Technical Readiness Level) and lets us get to launch much sooner. “The other interesting part of our offering is that it is very modular, we can add solid rocket strap-on motors, which we have been doing for years for other programs like Delta (the Delta II, III and IV rockets). We’ll use those as needed to meet specific mission performance requirements. SFI: Off topic, how many rockets does Orbital ATK produce per year? SFI: Tells us a bit about your Florida operations in terms of NGL. SFI: Can you tell us a little bit more about other potential users for the NGL? SFI: Quick question: there are a lot of vehicles out there that have great capabilities in terms of a diverse range of [orbits such as] LEO, NEO, and even escape-velocity orbits. Can you tell us a little bit about the NGL’s potential in that realm? What are its realm of capabilities? SFI: Wow. It exceeds Delta IV Heavy’s capabilities? That’s impressive. So it would be able to complete with these other launchers that are already on the market, even though I think Atlas and Delta IV Heavy are scheduled to go offline in the next two-to-five years. If everything goes perfectly, how soon could we expect to see the first NGL launch? SFI: What has the Air Force’s reaction been to NGL? Can you tell us a little bit about what you’ve seen in terms of how the USAF has responded to your submission of this new launcher? Pieczynski: “Sure. In the last two and a half years or so, we’ve had a combined investment between Orbital ATK and the Air Force in excess of $200 million. We submitted a proposal for full development at the end of 2017. In February of this year (2018) we were notified that we are in the competitive field. So we will be entering negotiations in the not-too-distant future with the Air Force for full-up development. So the Air Force likes what they see from us. SFI: For clarification purposes, earlier you mentioned MLP, one of the Mobile Launcher Platforms there at Kennedy. 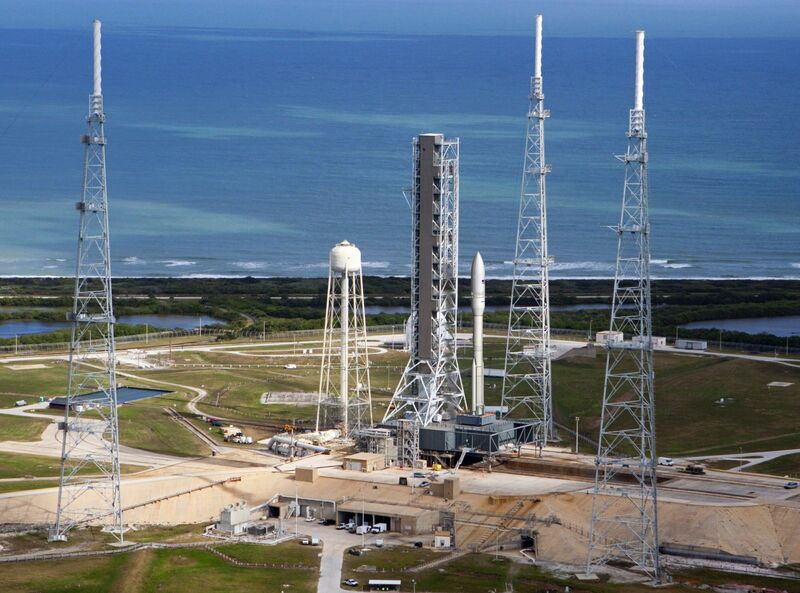 For a sense of scale, I’m picturing one of the Atlas V series of rockets, including the never-flown Atlas V Heavy. Is that a good comparison in terms of scale and size for our viewers? When they think of this new launch vehicle, should they think of Atlas V in terms of general size, or is it something larger, or is it something more of the Delta II variety? SFI: The next question is one you might not be able to answer because it could be proprietary. In terms of cost, with the new space race that we’re working under, cost seems to be one of the key considerations and motivating factors. What can you tell us in terms of the expense of one of these launchers? Pieczynski: “What I could tell you is the price, not the cost, but those two are related. The price of this vehicle will be very competitive in the EELV market, it will be very competitive in the NASA market, and it’ll be very competitive in the commercial market. So you could try to derive our pricing across from that, but the way we control the cost of our system is through commonality. “You know, we have extensive commonality with various subsystems with other launch vehicles that we build. We talked earlier about avionics. You know, we’ve been doing avionics systems for roughly 20 launch vehicles per year, and so we’ll add into the mix of that however many EELVs we’re going to build a year so we get cost efficiency out of the increase throughput in our factory. SFI: This is always usually the last questions I ask. Imagine you’ve got the public’s attention and you wanted to let them know the most important factor [is] about NGL and what they should take away from reading this article and how it’s important for the United States and potentially other parties’ use of the launcher. What do you think it would be? Pieczynski: “It’s probably a couple of key things. One unique thing that we bring to the Air Force in our business is we’re very diversified. Orbital ATK is very diversified in what we do. If you take a look at others, they have one or two launch vehicles, and that’s it. So with our diversity, we are able to ebb and flow with the Air Force manifest as it goes up and down. “You can wind the clock back 20 years ago, and there was this anticipated robust EELV launch manifest, where the Air Force and the contractors that were awarded were anticipating great launch rates. What happened back then, back in the ‘90s and early 2000s is the satellite systems that were also being developed were behind schedule – so the launch rates were low. “It’s very difficult for the contractors on EELV to manage their business and close their business case on a low launch rate because all they had was space launch. They didn’t have to move people resources around. Because of our diversity, as we’re building 20 other types of launch system every year, and launching 14 other launch systems a year, when the EELV market manifest is slow, we’re able to absorb that and move our people around to programs that are very active at that given moment. So we’ve got an ability to launch at a very low rate and still close our business case. That’s important. SFI: Thank you for taking the time to speak with us today.